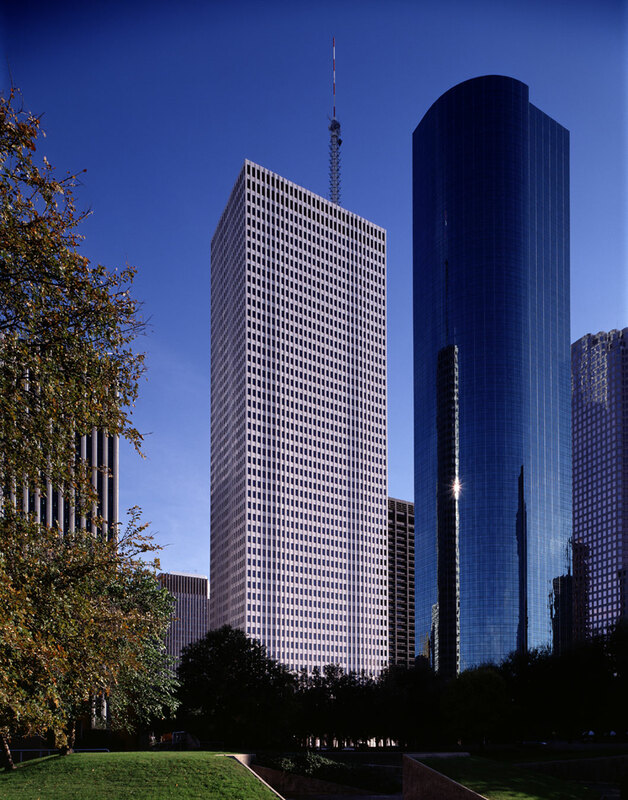 Completed in 1971, One Shell Plaza is a 50-story office tower containing 1.6 million square feet located in the heart of Houston's central business district. 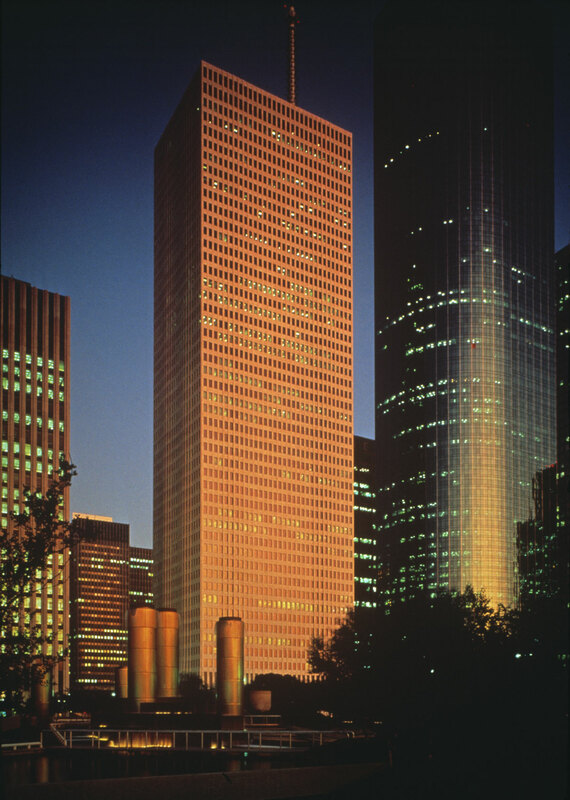 As one of Hines' first high-rise office towers, One Shell Plaza set the standard of excellence for the many projects that followed. The travertine-clad tower tapers upward from a landscaped marble plaza with a series of closely spaced columns that frame the structure, creating the impression of a gently undulating exterior wall. On the building's 49th floor is the exclusive The Houston Club, which offers a full complement of fine dining, entertainment and meeting facilities. On-site parking is available for 381 cars, with an additional 999 spaces across the street in the Two Shell Plaza garage. The building underwent a major $80 million renovation between 1991 and 1993 and again between 2009 and 2012, all while occupied. The scope of the renovation included: architectural changes to the lobby and plaza, new graphics, elevator modernization, major upgrades of the building's electrical, mechanical and plumbing systems, new lighting, new windows, curtainwall restoration, asbestos abatement, ADA modifications and all new life safety systems.